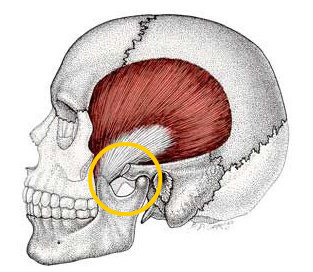 Temporomandibular joints (TMJ) connect your jawbone to your skull. They are located at either sides of the head, near the ears. These joints are essential in speaking, eating and the making of facial expression. TMJ disorder occurs when there is a disruption in the proper function of these joints. In some cases, the causes of TMJ disorder can be clear. A blow or other impact to the joint can result in dislocation of the TMJ. Another cause is arthiritis which can cause inflammation of the joints, and also swelling of the surrounding tissues. Having a misaligned bite make everyday jaw movements, like chewing, take a toll on the TMJ. This can eventually cause a strain on the surrounding muscles. Many people habitually clench and grind their teeth.This places extreme pressure on the joints, sometimes to the point where there can be a dislocation of the joint. The symptoms of TMJ disorders will vary from person to person, depending on the cause of their TMJ disorder. For many, jaw joint pain is the most common. Many experience a popping, clicking sound when they yawn or chew. Many experience an aching pain in and around the ear because the TMJ is located near the ear. Headaches tend to occur when the muscles around the TMJ get strained. With the people who ususally clench and grind their teeth, there is usually tooth aches and pain in the cheeks. At Cherry Hill Dental Center, we can pinpoint the source of your pain and provide relief using the very latest in gentle, non-surgical treatments. Come in to see us today and together we will find the best treatments for you.